Self-Portrait as the Billy Goat brings together physical, psychological and imaginary self-portraits by a selection of leading international artists. 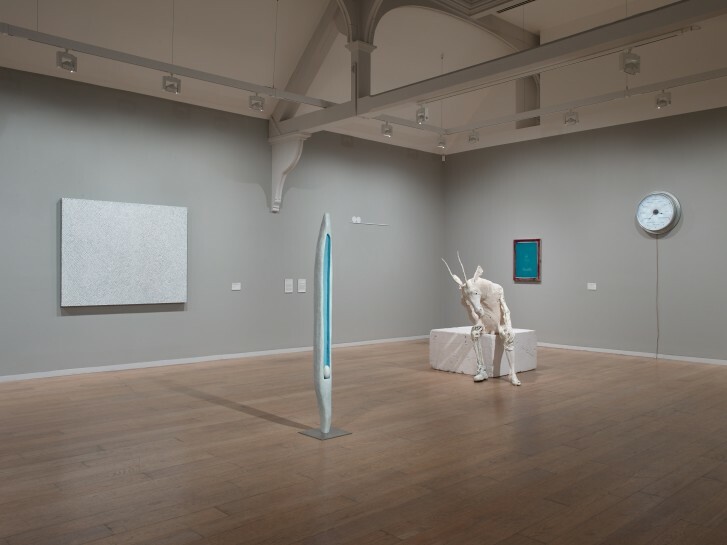 Continuing the Whitechapel Gallery’s programme of opening up rarely seen collections from around the world, this is the first of four exhibitions drawn from the ISelf Collection. Works by Pawel Althamer, Louise Bourgeois, André Breton and the Surrealists, Enrico David, Tracey Emin, Gilbert & George, Gabriel Kuri, Yayoi Kusama, Linder, Aditya Mandayam, Raqs Media Collective, Prem Sahib and Cindy Sherman, reveal how these artists stage their own bodies or self-reflections to examine the different ways that we build our sense of personal identity.